Chakra Spiral Wand is a healing wand that activates and energizes your body chakras. 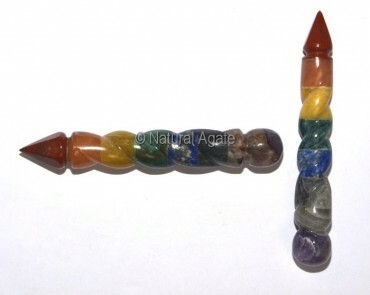 This beautiful wand is available on Natural Agate. It weighs 70-120gm.